Ambode Moves Against LGA Chairmen Who Didn't Endorse Him? Fifty seven Local Government Areas and Local Council Development Areas Chairmen may have to sacrifice their seats for going against Lagos State Governor, Akinwunmi Ambode, on his second term ambition. This will begin should the governor succeeded with a leaked sacking plan of the council’s chairmen, which he had planned to carried out by Friday. The governor has been suspected of sinister move immediately his second term plan was rejected and became public discussion, particularly after decision makers of his party, All Progressives Congress (APC), cut down his hope on 2019 governorship election that may have had him return to office. From The Guild findings, there was strong indication that the governor’s hope had all been exhausted, is to move against certain characters. 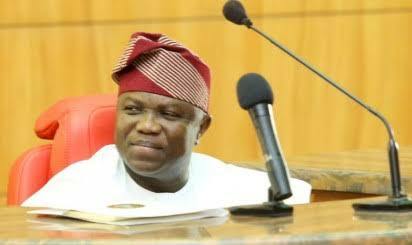 Should Ambode carry out the leaked sack plan of the 57 councils’ chairmen, their main crime would be because they were against their principal’s second term agenda and for also endorsing another anointed aspirant, Babajide Sanwo-olu, while he is still in power. They claimed that part of Ambode’s plan was to deprive them of the new month allocation, which comes through the Join Account Allocation Committee (JAAC) and that the governor could lay them off before Friday. One of the sources disclosed that the entire 57 chairmen had started reaching out to leaders of APC over the Ambode’s plan to fire them.